Great pictures are a constant source of new ideas for me, and Melissa does a wonderful job of finding them! One that she posted recently in her article on colored walls, caught my eye. But it wasn’t just the wall color that got me, it was the trim. I love the way the top and the bottom of the wall are treated with a similar size section of white. It frames the bold wall color perfectly. But it’s not what you think at first. Look closely at the “crown molding” and you’ll see that it isn’t crown molding at all! My first thought was that it was the same baseboard upside down, which is a great idea and I would have written a post about it then too! But what they did is actually even more simple than that! It’s not easy to see, but I think they just have small piece of picture molding on the wall and white paint above it. How easy is that?! I found a picture of a similar idea in progress at HGTV.com (though I wish the painting were a little neater and the ceilings weren’t popcorn). You can see the idea up-close. Easy to put up with small nails and maybe a little bit of hot glue! Easy to cut on the corners with a simple hand miter box. Easy to paint…if you do it my way instead of what you see in this picture! Paint the wall first. Go ahead on up past the place you’ll be putting the molding. Paint the molding before you put it up. Totally finish it on the ground. After the molding is installed, paint the white wall area with the same paint as you used on the trim. This way you won’t have to bother with the blue tape and you’ll get a much nicer job on your trim. The piece of trim right at the ceiling is optional. It looks good both ways. There you have it… a simple alternative to crown molding! 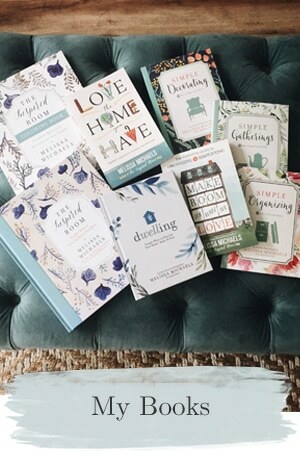 Check out my decorating and homemaking books (and my new home decor coloring book) HERE! Great idea, and it seems quite simple. Thanks! Slick and quick – it doesn’t get much better and it looks, well, just right. Thanks! .-= Amy at The Red Chair Blog´s last blog ..Feng Shui for Romance =-. We’ve done this a few times and it always turns out great. Plus it’s simple and cost effective. hon- you just saved me a boatload of time and money! 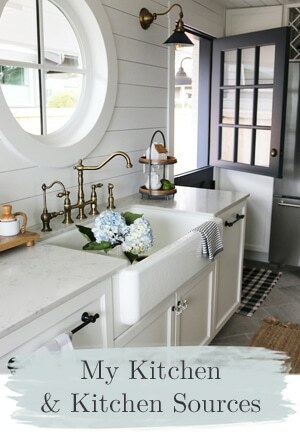 crown molding is on my wish list (isn’t it on everyone’s?) and this is going to be MUCH easier and cheaper! thanks! What a simple beautiful idea! Can’t wait to try it. Yes, this is a great ideas I have used it myself many times! 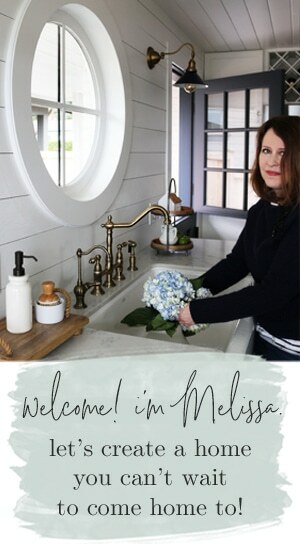 .-= The Stylish House´s last blog ..Pottery Barn Giveaway WINNER! =-. Yep, I have seen it before and thought it looked great then too. Got to remember this for when I am actually doing the walls again. .-= Marianne@Songbird´s last blog ..Celebrating Carnaval with a Decorator’s Eye =-. I love it! I love what you can do with “molding”. I think in another life I would like to come back as a trim carpenter and transform my house! .-= Mary Jean´s last blog ..Blissdom Recap with Harry Connick, Jr. =-. I love this! We’re almost ready to re-do our dining room and it’d be great to create this look in that room. I’ve just forwarded this link to hubby. Thanks! What a great idea! This is way cheaper than buying intricate crown molding that looks basically the same! Thanks for your tips on how to recreate this as well – it seems like a much easier way! .-= Sarah @ Dream In Domestic´s last blog ..Revamping Recipes: Chicken Marsala (AKA Chicken Merlot) =-. I like this but I am not sure if it will work for regular 8 ft ceilings?? .-= Debbie S´s last blog ..My Two Men =-. Hi Debbie- This look will work for 8′ ceilings! All you have to do is shrink it a little bit. Instead of putting 5 or 6″ of white space on the top of the wall, make it about 3 or 4″. It’s really all about scale. Large crown doesn’t work in 8′ rooms, and small crown doesn’t work in 12′ rooms… but crown molding, or the look of it, works in any room! I’m lucky to have the “real” crown, but they do the last edge like this. They leave ~ 2 inches of drywall and then add the bottom trim piece to make it even wider. I love mine. We just caulked and painted it in the master, what a job, but it’s done and looks great! .-= Sandy´s last blog ..sometimes you just need a change… =-. Great idea. I’m going to remember this. .-= Becky K.´s last blog ..1,000th Post! =-. One of my faaaaaaaavorite little antique shops (which unfortunately had to close a couple months ago) did something like that. She had the palest blue walls and then a deep cocoa up top and all across the ceiling. It may not sound pretty…but it was soooooo pretty. .-= Katie´s last blog ..It’s S-S-S-Snowing!! =-. That is SO cool!!! I never would have thought of that but what an great, inexpensive way to create “crown molding”!!! Wow! I know someone who might really be able to use that! I rent so can’t right now…but man…am I wishing I could paint right now…my fingers are itching…Thanks for the awesome idea!!! .-= Mary Joy´s last blog ..My best friend and Valentine for Life =-. Thank you so much for sharing this! I love the idea and how easy it is to implement. I may just need to give it a try! 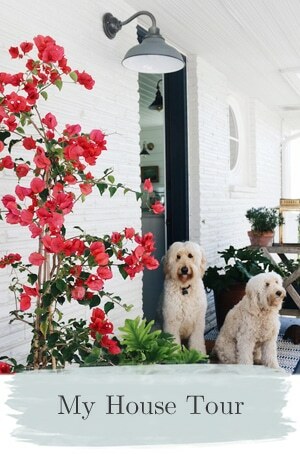 .-= Erin @ Domestic Adventure´s last blog ..Doggy decor =-. .-= Marija´s last blog ..Love Poems & A Crush =-. I am loving this idea! 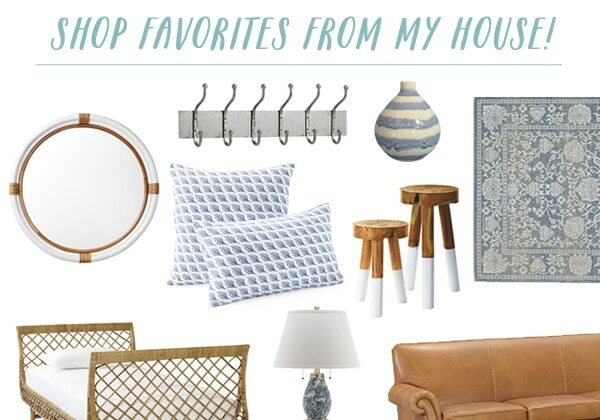 And that turquoise room…so happy and bright! .-= Flower Patch Farmgirl´s last blog ..Ruby’s Digs =-. This is a great option in so many applications! I think it works even better with a bold color contrast like the white and turquoise. Thanks for sharing! .-= 31everything´s last blog ..Lonny Magazine =-. Love the look, very creative! Much easier than crown moulding too! My husband would not love me if I asked him to put crown moulding up ;-) This is I can do! Thanks. This is a great idea. I love it and will probably include it in my Sunday blog roundup this weekend. .-= Lesley @ TheDesignFile´s last blog ..Color modernizes traditional chandeliers =-. What a great look for not too much effort. I’d love to give this a try! Nice post Remodeling Guy!! 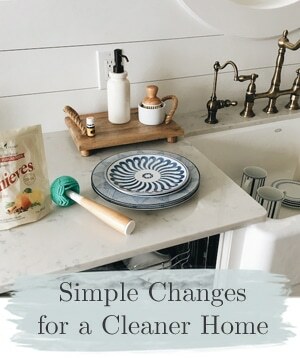 So funny to read this post today because just this past Friday I was at Home Depot looking at the trim pieces to do this very same thing to my home. Glad to read that I should paint the trim FIRST. Thanks for the tips! .-= Mandi´s last blog ..A Sweet Valentine =-. .-= kathysue´s last blog ..Yipes! STRIPES!!! =-. Love that! I have a similar treatment in my dining room which I turned into my craft room. Such a good idea! .-= jenjen´s last blog ..New Giveaway: PeachyCheap scrapbooking supplies worth over $100 =-. .-= Molly @ thecreativemaven´s last blog ..Before & After: Mauve garage sale Wingback chair? =-. Hi– Great post Handy Guy! We had a friend who was not that handy — my hubby (then ) was a custom cabinet maker so was called over when our friends project was complete. Makes me tired just to think about it. My cousin did this treatment in one of her homes years ago and I remember liking it and thinking it was very clever. Thanks for posting about it. One of my goals is to do some type of crown moulding in my family room/kitchen combination. .-= Sandy´s last blog ..Tinkerbell =-. I love this solution. We did this in our first floor powder room no more than two weeks ago. The ceiling (at 10′) seemed too high for the space, almost like walking into an elevator shaft. We put 1/4 round molding up 12″ from the ceiling and painted the walls Glidden’s Tropical Surf. The powder room looks beautiful now, and I don’t avoid using it anymore. Hi Amy- I know exactly the look you mean with high ceilings in a powder room. I’m not fond of that look! Sounds like you did a great job solving the problem. Thanks, is it possible that I saw this solution on your blog a year or so ago? I finally got my husband on board now that we’re getting ready to leave the house! I wish we put it up sooner, it was a great trick. That sounds like a really good idea. If we were staying in this house, I’d want to put up something a bit more substantial than the 1/4 round that we used – though it does look pretty and clean. That looks great. You make it sound so easy too. I love it. I have seen this done before and it is a way to save money and make it look great! 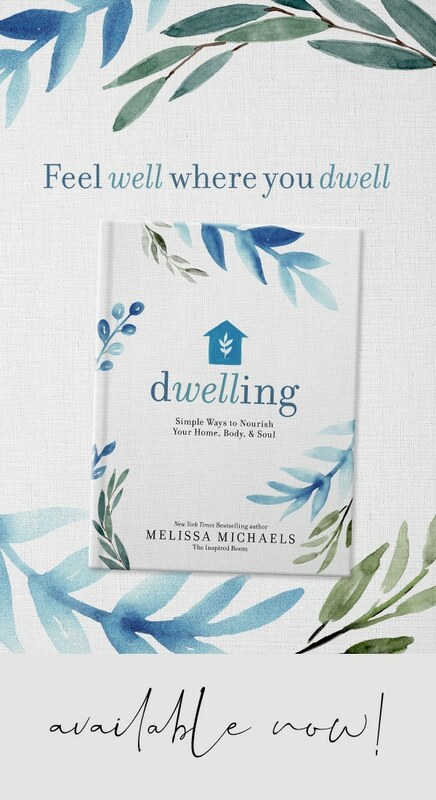 .-= Melanie´s last blog ..Happy Birthday… =-. This is great! 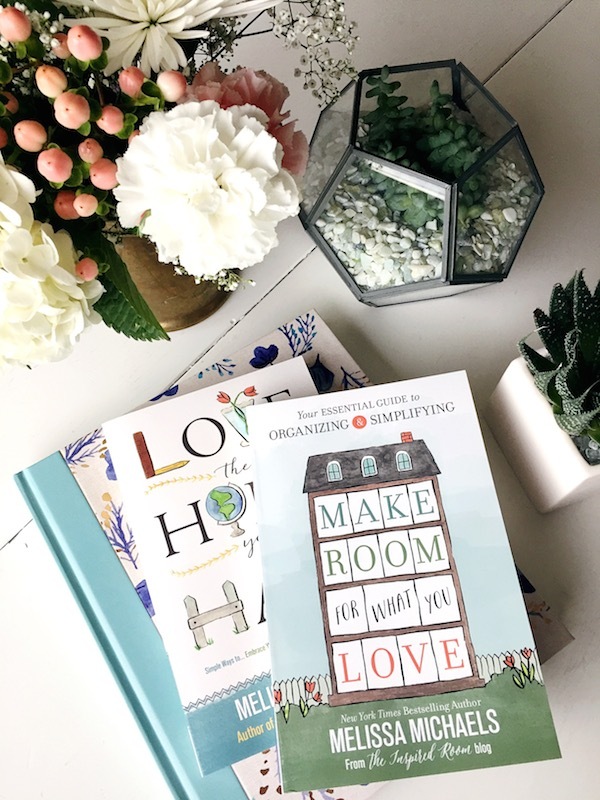 We have plans to start painting our dining and living room – I was really hoping we could do crown molding but realistically it just wasn’t in the budget! Question – the bottom of the wall, is that also paint or actual baseboard? Oh, and if you could tell me what kind/size of trim you used that would be great! Thanks! !